Comfort, usability and safety are key when it comes to planning a bathroom suitable for use by elderly members of the family. 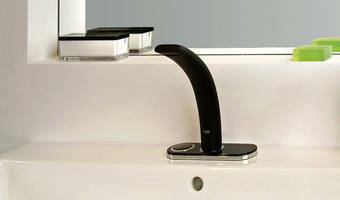 All our single-lever faucets feature GROHE SilkMove® technology. A wide operating angle ensures smooth and effortless one-hand control of the water temperature and flow. High-spout faucets deliver water in a comfortable position and can be found in our Essence and Concetto collections. Our Atrio collection includes a model with a swivel spout, which can be moved to the side of the basin – perfect if you are washing your hair. Temperature limiters inside our basin mixers can be adjusted once the faucet has been installed. These work by reducing the movement of the faucet handle to the left side, thereby limiting the hot water supply. As we age our skin becomes thinner and the risk of scalding increases. 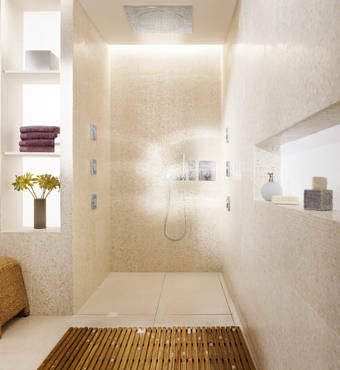 Our thermostatic shower mixers feature GROHE TurboStat®. This ensures that the temperature of the shower water remains constant for the duration of your shower, regardless of any fluctuations in the water supply. A SafeStop button prevents the temperature from accidentally being raised above 38º Celsius. GROHE CoolTouch® technology ensures that the surface temperature of our thermostats and the handles of our hand showers is never higher than that of the mixed water. 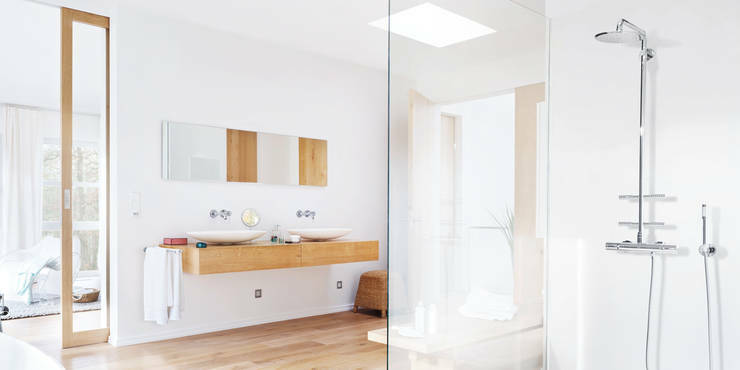 Concealed thermostatic shower mixers allow you the flexibility to install the mixer at a comfortable height and in a convenient location, such as close to the shower entrance. Our Rapid SL sanitary installation frames offer a number of features that increase user comfort in the bathroom. Frames for wall-hung toilets feature adjustable feet – designed primarily to cope with uneven floor surfaces, they can also be used to elevate the height of the toilet bowl to a more comfortable height of 46cm from the floor. A frame designed for wall mounting basins 80cm from the floor (instead of 85cm) is suitable for wheelchair users. Components are also available for the safe installation of grab rails. 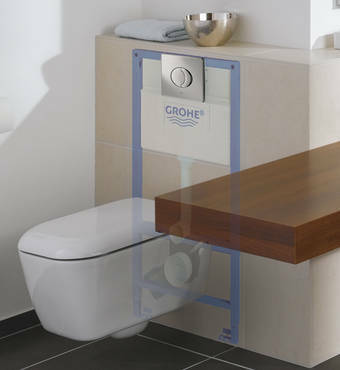 All GROHE flush actuation plates are easy to operate and meet the needs of the elderly. Our Skate Air actuation plate (38564) is certified by the German Society for Gerontechnology (GGT Deutsche Gesellschaft für Gerontotechnik®), while the Skate Air Button pneumatically activates the flush. The button does not need to be connected directly to the cistern and can be located in a more accessible position. Our range of electronic flush plates and faucets feature infra-red technology for electronic rather than manual operation of the basin mixer or flush, while the award winning GROHE Ondus® collection uses the latest digital interfaces for one-touch operation of faucets and showers. © 2016 Grohe Malaysia Sdn. Bhd.